Albert Einstein called 1905 his annus mirabilis (miracle year). In that year he not only completed his PhD for the University of Zurich, he also wrote four ground-breaking papers for the German physics journal Annalen der Physik. He was living then in Bern, the capital of Switzerland - in the heart of the old city. The place has since been restored as a museum devoted to the life and work of this great twentieth-century figure. Barbara and I were in Switzerland this year in mid-July. Our first stop was Bern. On July 12, we visited the Einstein Haus. This museum is in the Altstadt (old city) at Kramgasse 49 - just one block east of our hotel on Zeughausgasse. The second floor of the building has been restored to look as it did when Albert Einstein and his wife, Mileva Marić, lived there from 1903-1905. What follows is a brief account of Einstein's life in this period and a selection of photographs I took at the museum that afternoon, and around the old city. Einstein began working here - in Bern's Federal Office for Intellectual Property - in 1902. Einstein was originally German. He was born in Ulm on March 14, 1879. Ulm was located then in the Kingdom of Württemberg. In 1880 his family moved to Munich. When he was a teenager, Einstein moved to Switzerland. He finished his secondary education in Aarau at the Cantonal School (1895-96). In January 1896, Albert Einstein renounced his citizenship, in order to avoid military service. Later that year he enrolled in a four-year diploma program at the Zurich Polytechnic, studying mathematics and physics. He met his future wife at the Polytechnic during his first year of study there. After graduating from the Polytechnic in Zurich, Einstein tried for two years to secure a teaching job. He got his Swiss citizenship in February, 1901. Eventually he found work in Bern's patent office - The Federal Office for Intellectual Property. He moved to the Swiss capital in 1902 and started work at the office as an assistant examiner. 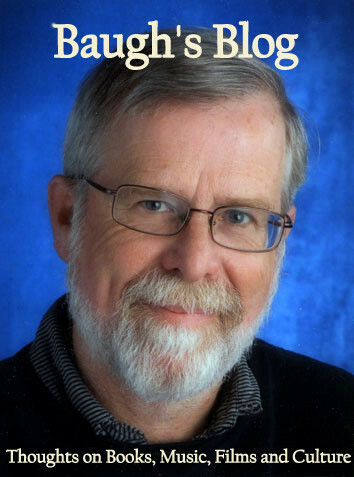 His job was to evaluate patent applications for electromagnetic devices. He was appointed as a "provisional third class expert". In 1903 his position in the office became permanent. The office was located in the Postal and Telegraph building at Speichergasse 6 - about ten minutes from his apartment at Kramgasse 49. He would stroll west three big blocks (along Kramgasse, Zeughausgasse, and Speichergasse) - lost in thought, no doubt, about the latest physics problem he was grappling with. On his way to work, Einstein would pass the Zeitglockenturm (clock tower), which was once part of the medieval city's western gate (1191-1256). Tourist crowds gather now in front of the clock (built in 1530) - located at the top of the tower - in order to watch its sculpted figures twirl around the clock face at four minutes before the hour - just before the clock chimes begin at the top of the hour. The Zeitglockenturm is supposed to have helped Einstein work through his theory of relativity. He speculated, as he was travelling east once by tram on Kramgasse, away from the clock tower, that if he and the tram were moving at the speed of light, the tower would remain on the same time, while the watch on his wrist would continue to tick away the seconds and minutes - proving that time was relative. 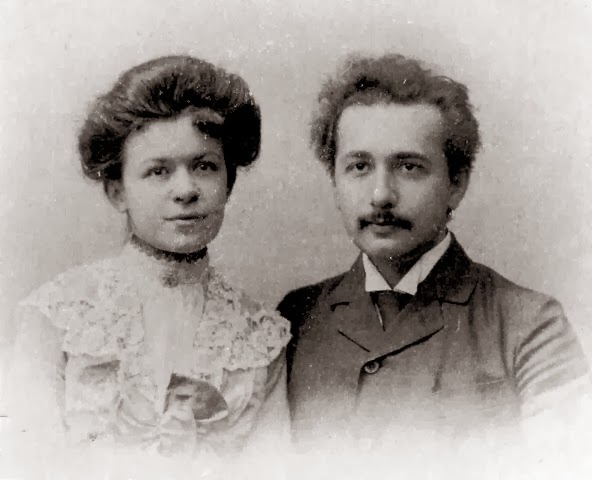 Albert Einstein and Mileva Marić married in Bern in January 1903, against the will of both sets of parents. In May 1904, whilst resident at the apartment on Kramgasse, their first son, Hans Albert, was born. Kramgasse is one of about a dozen old cobbled streets in the aldstadt which run west-east towards the Nydeggbrücke - the bridge at its eastern edge. The old medieval city was built mostly of wooden houses. When most of those were destroyed in a fire in 1405, the city core was rebuilt with grey-green sandstone. One of the most attractive features of the streets of the old city is the stone arcades that line each side of the cobbled street. Once you're done walking down the middle of the cobbled streets - in order to focus your attention on the fifteenth-century terraced houses, or to check out the water fountains that are set up in the middle of the street every 75 metres, or so - you can step up into the covered arcade and gaze through the shop windows. No need for awnings here. In addition to the small shops that line the arcades along the old cobbled streets, there are shops and businesses set up in many of the cellars. They look really attractive from the street, although the steps down might be a little tricky for those who are frail, or unsure on their feet. Spread throughout the aldstadt there are about ten medieval fountains which sit in the middle of the cobbled streets and provide fresh, cool water. Most of them were designed by the artist Hans Gieng and built in the 16th. century. There are two of them on Kramgasse - located just a short distance east and west of the entrance into Einstein's apartment. Just east is the Simsonbrunnen (Samson Fountain); and a short distance west along the cobbled street is the Zähringerbrunnen (Zahringen Fountain). When he was busy working every day at the patent office, Einstein had little contact with academics - theoretical physicists who had time to do research and think. But, on the other hand, being free of such academic obligations as teaching, marking, and administrivia, he was able to concentrate his mind on the theoretical problems that were obsessing him. And he formed a discussion group with a couple of like-minded friends he met in Bern: Conrad Habicht and Maurice Solovine. They called themselves, self-deprecatingly, The Olympia Academy. 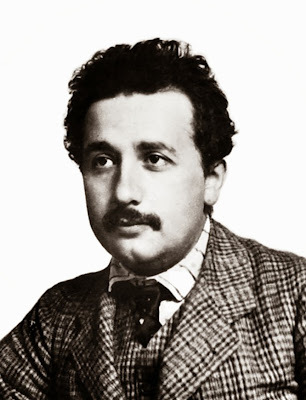 Einstein also had deep conversations with Michael Besso, a co-worker at the patent office. Recalling this colleague later, Einstein said, "I could not have found a better sounding-board for my ideas." Albert Einstein and his wife Mileva Marić moved into the second-floor apartment at Kramgasse 49 in October 1903; they lived there until May 1905. The rooms on the second floor have been restored to the style of the period. This was Einstein's fifth (of seven) residence in Bern. His first apartment was also in the aldstadt - at Gerechtigkeitsgasse 32. Four of his other lodgings were in the Kirchenfeld district, on the east bank of the Aare River, just south of the old city - reached by tram over the Kirchenfeldbrücke (the Kirchenfeld Bridge). The entrance and first stairway into Kramgaase 49 have been renovated; but the old, wooden, spiral staircase up to the second floor has been left in its original condition. As you enter Einstein Haus Museum, in the second-floor apartment, the employee who greets you and takes your entrance fee is sitting at a desk. It is Einstein's original desk - protected on top by a thick sheet of glass. Across the room, next to the fireplace, is Einstein's original writing table. That fact is emphasized by the framed photograph on the wall behind it - which shows the great man himself, standing at it and writing some notes. It's shaped like a giant stool - with tripod legs and a small table top. It would allow you to work standing up. Was that the fashion of the time? I don't know, but I do recall that Hemingway used to type standing up at his home in Cuba, because he was having some problems with his back, and it was difficult for him to sit at a desk for long periods. 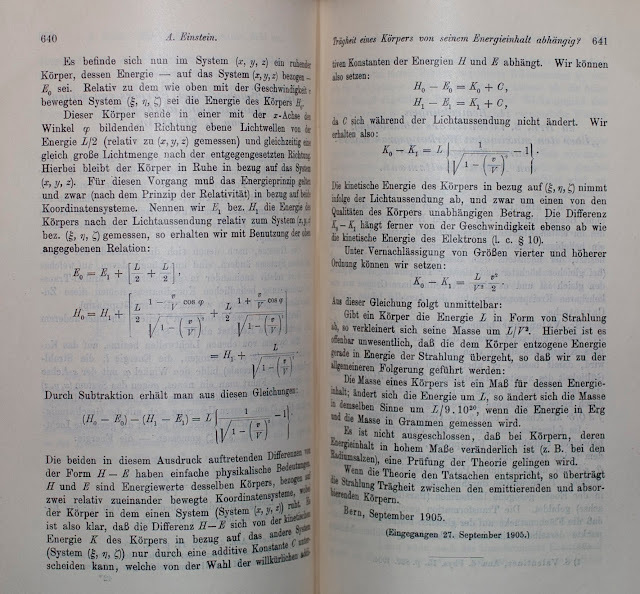 In the four key papers he produced during the annus mirabilis of 1905, Einstein was dealing with some of the period's most important physics problems. The first of Einstein's papers dealt with the photo-electric effect. "On a Heuristic Viewpoint Concerning the Production and Transformation of Light" was received by Annalen der Physik, the German journal of physics, in March, 1905; they published it in July. He would eventually receive the Nobel Prize for Physics in 1921 for the work he did in this particular paper. The committee mentioned his contribution to photo-electricity in their award citation. Einstein's second paper involved Brownian motion. "On the Motion of Small Particles Suspended in a Stationary Liquid as Required by the Molecualr Kinetic Theory of Heat" was received in May, 1905. Annalen der Physik published it in July. And then came Einstein's famous work on special relativity. 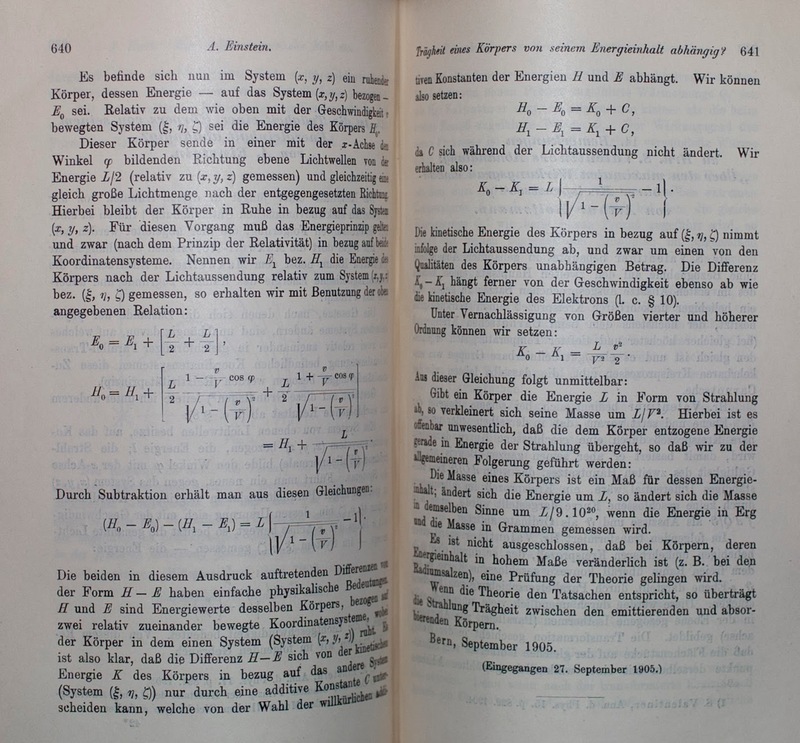 "On the Electrodynamics of Moving Bodies" was received at the end of June, 1905; they published it in September. Finally, Einstein sent a paper in late September called "Does the Inertia of a Body Depend Upon its Energy Content". This was really an addendum to the previous paper. And in it he developed an argument that led to the most famous equation in the field of modern physics: e = mc2. This final great work of his from 1905 was published in November. The Einstein Haus Museum also acquired the third-floor apartment at Kramgasse 49. One room up there was made into a small projection room. Throughout the day, a twenty-minute documentary film is running, giving a good overview of Einstein's life and work. The front room of the third-floor has been fashioned into a detailed exhibit which gives information about Einstein's life in Bern and the importance of the four papers he produced here during his annus mirabilis. To plan your visit to Einstein Haus, check out their English-language web-site. There is also a brochure available at the Museum called Einstein-Pfad Bern. It has 88 small photographs of buildings in Bern that have some connection to Einstein's life there. The buildings are identified on a detailed map of the city. 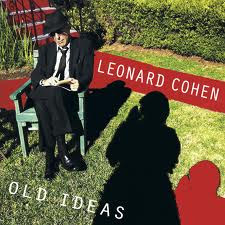 This would be very useful, if you really wanted to explore in great detail his movements around the city. The entrance Fee at Einstein Haus Museum is 6 Swiss Francs for adults and children. It is open from 10:00 a.m. - 5:00 p.m. daily between April and December. It is closed throughout January. And closed on Sundays in February and March.